A very common pain people tend to experience is lower left back pain. This type of pain can occur from an innocent muscle sprain or indicate more severe injuries. Sometimes, these pains can spur from no material problem at all, they simply happen. Like all conditions, it’s better to know as much as you can about what you’re experiencing before you take any further action. All possible causes may not have to be considered each time you get back pain, but the saying does go, better safe than sorry. When is Back Pain a Serious Sign? For starters, it’s best to know what can cause the pain inside of your lower left back. The most common of cases start with a muscle strain. These are usually harmless but it never hurts to get a checkup to clarify the exact issue. Other issues can originate from your spinal cord itself and the connectors that attach to your lower left back. Another possibility could be that the organs in your lower left back are currently suffering some sort of discomfort or disturbance. These kind of pains are better looked into before they spur out of control. While pains in your lower left back can prove problematic and a disturbance, they rarely ever lead to something drastic and life-changing and never have been recorded to have killed someone. This type of pain can be described as a puncturing, piercing and throbbing pain that seems to only elevate when you move. A muscle strain can happen from sleeping on one side for too long or having fallen at some point during the day. Muscle strains usually clear out on their own in a couple of days. The worst scenarios last up to three to four weeks but never longer. If the pain does pursue, surpassing the given time-frame, it’s now time to consult a doctor. Lower back pains can originate from your spine if something is discomforting your natural position. What’s known as a herniated disc, is a disc that lies in between the bones of your spine. When this disc protrudes from its original position it has a tendency to irritate the nerves nearby, causing pain, discomfort, numbness, and weakness. Facet joints are those joints that allow your spine flexibility. When two vertebrae connected to your spine get pressed too tightly or overloaded with weight, they cause a distress pain signal. This means that the joint between these two vertebrae is under too much pressure. When the facet joints begin to swell due to the pressure causing them to grind over one another, this becomes the origin of the pain you’ll start to feel in your lower back. This type of pain has many causes. The most common of causes for this is an injury to your bottom or hips directly. Falling over or getting hit in these areas can be the creation of lower left back pain. Some women risk developing sacroiliac joint dysfunction due to pregnancy. When this happens, the tissues around your pelvic area loosen to allow the position of your body to adapt with the child’s required space. During this process, the position of the sacroiliac joint can alter permanently. 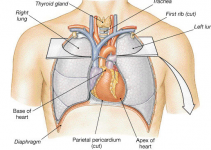 There are multiple plausible issues when it comes to dealing with pain from your organs. The following are some scenarios that can occur and create lower left back pain. Kidney stones are naturally there, the pain occurs when the stones are too big and they start to cause discomfort and issues when urinating. Kidney stones can cause pain in your lower left back when the stones begin to move in the left kidney. It also happens when the stones progress down the ureters. This type of pain starts out from an infection in the bladder or ureters progressing up to the kidney. This kind of pain is felt near the spine over the hip. It can either be a mild or burning sensation in this area. This is basically inflammation in your pancreas. This pain isn’t severe but in most cases, it can be irritated by eating any food especially those that are high in fat. The pain in your lower back is complemented with one in your upper abdomen. This pain happens due to inflammation in your colon or large intestine. While this does affect your lower back, it also comes with issues such as rectal pain, diarrhea and sometimes even weight loss. There are two types of issues that fit under this header; endometriosis and fibroids. Endometriosis happens when uterine tissue develops over the exterior of the uterus excessively. This is complemented with abdominal pain as well as menstruation. Fibroids, on the other hand, are when a benign mass begins to develop inside of the uterus. This comes with an abnormality in menstruation and pain in the lower left back. All these illnesses warrant a visit to the doctor. If your pains pursue with additional side effects as those mentioned above, then you’re better off seeing a doctor. Timely intervention can help fix these issues before they explode into life-changing and in some cases threatening situations. It’s hard in the early stages of pain to determine whether back pain is indicating to something more severe or not. When it comes to severe cases, the most common reaction is little to no pain at all! This means that you could be experiencing a life-changing injury, but the pain resolving around it is minimal. Other pains such as muscle cramps and pulls are the worst as they throb for hours, days, and weeks on end, but they can fix themselves in no time. Cancer may cause back pain when it creates a tumor near the spinal area. This can be any kind of cancer ranging from those in the spine directly or those in the organs nearby. A spinal tumor, vertebral tumor, and pancreatic tumor are all cancers that can create an effect on your lower left back. This kind of pain does not subside and gets worse over time instead. Even if it happens in the first three weeks of your back pain, once the pain starts elevating rather than decreasing with rest and medication, it’s time to consult a doctor. This illness happens when your lowest part of the spinal cord begins to pinch. Cauda equina can branch out from some sort of developing cancer, infection or herniated disc. The symptoms of this syndrome are weak legs, numbness, and frustration when peeing. Spinal infections are harder to identify. When it comes to this kind of illness the infection is very timid and it does tend to create pain. The pain does deepen and a fever and illness can complement the problem to help you identify the infection. 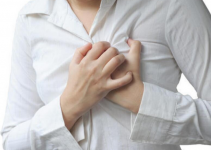 This type of pain is related to heart disease. What occurs here is the arteries next to the spine begin to inflate and irritate the surrounding area. Smokers and diabetics are more liable to this illness than others. This sickness is more commonly found in men. With it, the pain lasts for a long period of time, perhaps even a lifetime and steadily increases with age. This type of pain increases with rest and decreases when active. All of these illnesses and sicknesses can cause lower left back pain to present itself. When it comes to these types of sicknesses, it’s always better to have some level of professional intervention to help guide you on how to treat the illnesses. The thing about back pain is that it’s rarely ever a massive issue. Most of the time, it’s going to be a muscle pull and those fade away on their own through bodily repair. When the pain lasts longer than three to four weeks though, it’s then you should start looking for help to see what the real issue is. Calling the doctor shouldn’t be your first step when you encounter any type of pain. When you have lower back pain, there are a few things you can do at home to try and tame the ache before the time comes when you must consult a doctor. Firstly, if you feel pain it’s best to take immediate rest. You don’t want to agitate the pain further by moving around too much. Lie down, take a nap and try a painkiller, or over-the-counter medication to see if that helps remove the pain. There are also creams that can help soothe the pain if it is directly connected to your muscles. Don’t assume that the worst is upon you. Most cases are just your body getting a little tired from work. As mentioned above, the pain you experience may be a pull in your muscles, which will burn in the beginning but leave on its own. Take an ice pack to stop the swelling that may occur or use a heating pad to aid blood regulation and relax your muscles. If the pain lasts longer than a few weeks, then you may be staring down something that isn’t a muscle pull. Look for other symptoms while you attempt to treat it at home and see if any more clues pop up to indicate what you’re up against. If it is a muscle strain, then there are other ways to help soothe your muscles when you’re encountering back pain such as acupuncture, massage, and meditation. These types of treatments can be done by a professional and really help you relax and avoid further disturbances in your back. Back pain can also be closely related to the occurrences in your digestive system so it’s better to restrain yourself from heavy food items. Anything too saturated in fat, hard to digest and plainly unhealthy isn’t something you want when you’re in pain. Officially, there is no prescribed diet to follow so experiment and see what makes your stomach feel better. Quite like when you place an ice pack on the hurt area, sometimes your pain may subside when you have cold foods. This means ice cream and refrigerated snacks, cold fruits and drinks are the best options. Otherwise, hot foods can be the solution you might be in search of. Soups, beverages, and warm pastries can also help. Try not to indulge in foods that are hard and crunchy since they can irritate your digestive system if this is truly where the source of the issue is located. If the back pain originates from movement and activity, then don’t sleep or lie down on your left side for a while. It is plausible that the pain associated with your left side comes from too much pressure and strain on your back during the day. Leaning over, sitting and sleeping on your left side are all things you should stray from doing. If you cannot alter your position while resting, then place a cushion or pillow underneath your left side to soften the impact created. In the final scenario, it’s just a matter of dealing with the pain. If you’ve grown up with a bad posture or you experienced a serious accident, there may be no way to conclude the pain. It can also happen when you grow older and your body loses the peak condition it was once in. The time to see a doctor is after the first week or so. 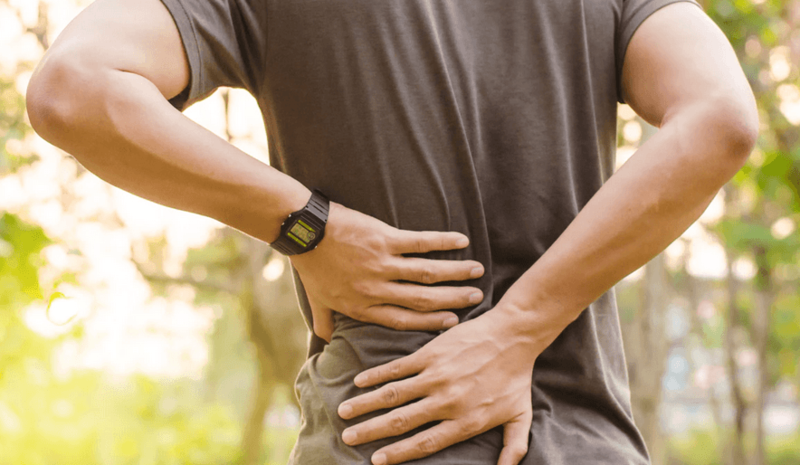 If the pain is still reverberating in your back even after you have tried to help it on your own at home, it’s now better to get professional help. A doctor will see what is going on inside of your lower back through x-rays and physical examinations. Once the idea of the issue has been grasped, they can prescribe you medications, shots, and even a brace to help support your back. Severe problems may result in surgery or intense procedures but these cases are very unlikely. Never feel threatened by back pain unless it comes with side effects. If it is a lone standing pain with no other issues, then relax because it’s probably just a muscle pull. When digestive issues, fever, heat, swelling, and redness come into play, then it’s time to look for some professional assistance. There are long-lasting pains that aren’t actually all too painful so you may not mind them as much as you would a muscle pull. The truth about these though is that they’re warning signs to something happening on the inside of your body without you detecting it. Another case can be that the pain comes in so quickly and recklessly as though someone pushed a boulder into your stomach. This type of pain that comes in and stops you from even walking may be a sign that a vital bone is broken or you have a fracture near your left lower back. A tingling sensation, numbness, and weakness in your legs related to your nerves. Natural Remedy Ideas does not aim to treat or diagnose any illness or disease. Our mission is to provide well researched educational information. If you have a medical problem you should consult your doctor before acting on any content on this website. Some recommended products of this site may use affiliate links. Our site is a participant in the Amazon Services LLC Associates Program, an affiliate advertising program designed to provide a means for sites to earn advertising fees by advertising and linking to Amazon.com. Natural Remedy Ideas Copyright © 2019.